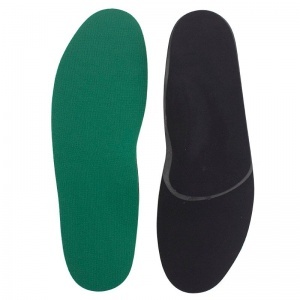 Very comfortable because they are soft and flexible but also have an arch support. Especially good when doing a lot of walking. Early days yet getting used to arch insoles but noticed that I can walk more comfortably now thank you. Don't waste money on Inferior rigid and uncomfortable alternatives which can damage delicate feet. These specs have actually cured my ball of foot and related pains due to wear and tear occupation related. I thoroughly recommend them. Fit well, very supportive - I'm wearing them inside my boots - great price & speedy delivery. It quoted fast delivery but it took over a month. I appreciate these insoles which I have been using for several years. I ordered them from you this time because they are no longer available in France. 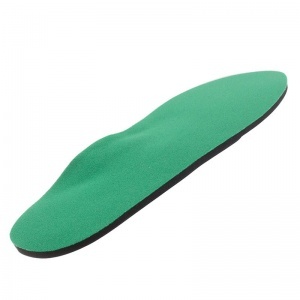 These insoles look fairly mundane, but they have hidden qualities, providing great relief from painful sesamoiditis. I wouldn't hesitate to recommend them for their effectiveness and Shoeinsoles.co.uk for their very rapid service, just what was needed! Many thanks. The item arrived the day after ordering, which was excellent. I trimmed it to fit my work shoes then had a 5 hour shift on my feet in a busy kitchen. My feet felt so much better, and the pain in my big toe joint completely disappeared. Wish I'd used these insoles years ago!! Finding these insoles comfortable & helping ease pain in arches. The insoles have helped a lot. I'm not getting as much pain in the base of my toe. I would definately recommend and I might even treat myself to another pair.